Recently I’ve started accepting sponsors on my blog. The sponsors enable me to do what I love and share it with you. A big thanks to the sponsors!! Yeah! Consign It Furniture is the perfect spots for DIYer’s like us. It’s a great second hand furniture store and recently became an Annie Sloan retailer. 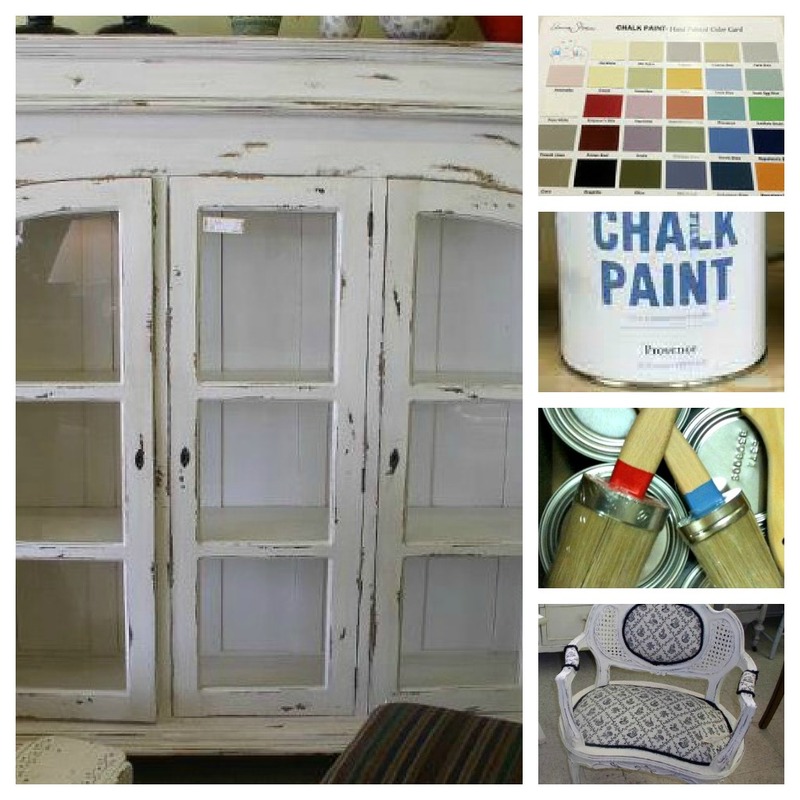 We all need a local spot to grab a quart of Annie Sloan and a new-to-us piece of furniture. So, if you haven’t tried this paint yet, what are you waiting for? If your nervous about painting, or would like to learn more about the Annie Sloan Paint try a workshop offered at Consign it Furniture. 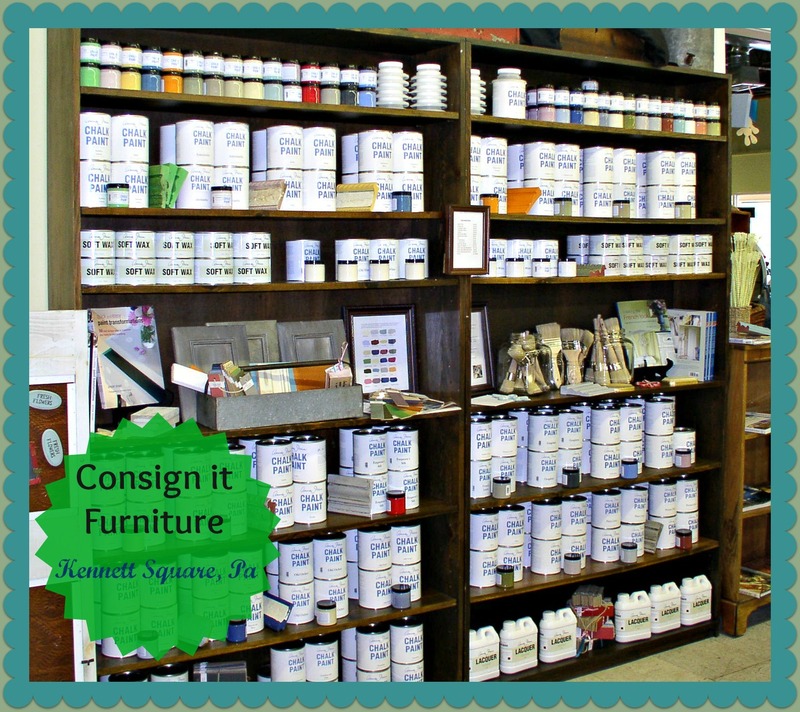 Consign it Furniture is in Kennett Square, PA. But, don’t worry. They’ll ship the ASCP to you if you’d like. You can connect with Consign it through Facebook too. You’ll be kept up to date on their incoming stock and any sales. So, send them some love and give them a visit, either in person or on facebook. I also "Love" Consign-it Furniture, they have awesome furniture and always helpful if you have any questions! If anybody would like to take a class and learn about Annie Sloan Paint that is the place to go! But I also need to come and take another class from you! Hi Florence! We're working on another class idea, I'll keep you posted! Consign-It is a unique name for a store! grabs your attention and there is no question as to what they are selling?